To us at All About Pickleball, we believe there is much more to a pickleball club than just playing pickleball. A great pickleball club does things to cause the community to embrace it.The Mission Royale players embody what it means to be a true club.Yes they welcome new players. Yes, they have referree training programs. And yes they host one of the largest and funnest tournaments in the country plus an annual in-house tournament. But this club goes well beyond that by giving back to their community. 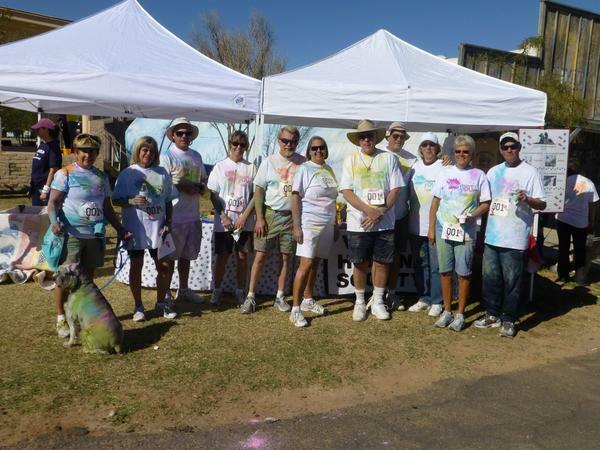 Recently this club participated in a Color Dash 5K and raised over $4200 for their local Humane Society. Each year they select a community project to get behind. This year’s in the Home of Hope: Women and Childrens’ Center.We could go on, but this was more than enough to earn them our Pickleball Rocks Club of the Month.